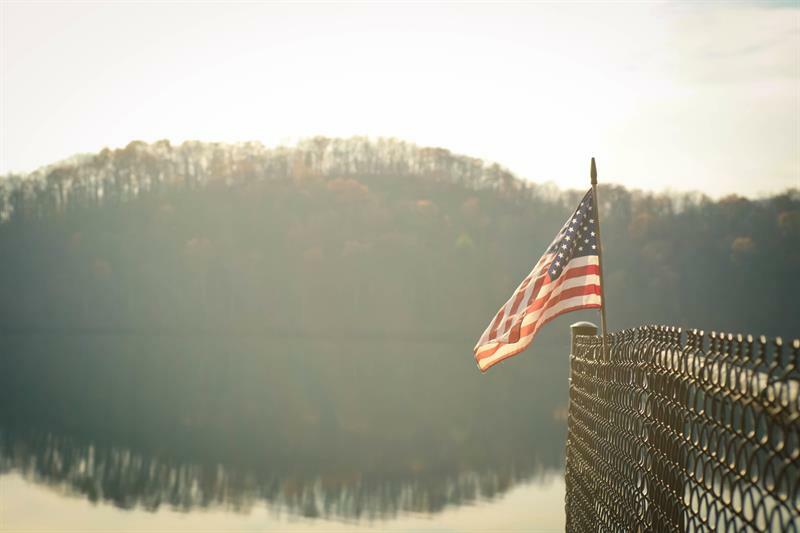 Have you ever planned to visit the USA? Here is my travelogue of a 12 days dream trip to USA from India. The car journey from Santa Monica the beach town in Southern California back to the hotel in Los Angeles was fraught with intermittent silence and a tinge of sadness; the 12-day jaunt to the USA was coming to end in a few hours. Breaking the silence was the chatter by the cab driver with the men. The people one encountered as waiters, cab drivers or tour guides in the United States especially in the state of California, often had a story to tell- their origin, their families, and how they made it in the country. The United States is the land of immigrants which was apparent in these interactions. Therefore, a sense of familiarity was felt with those visiting the country, especially Indians who comprised a major proportion of the immigrant population. USA spells "Big", larger- than- life for people from many parts of the world and therefore somewhat daunting to plan a holiday to for regular working class people in India, given the cost and distance. 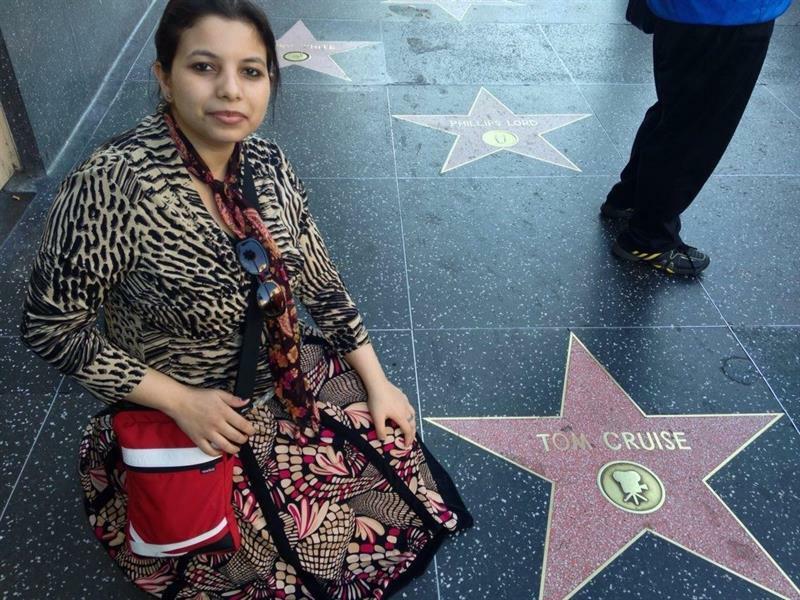 Therefore, it was a dream come true to plan a trip to USA from India and visit the United States for the second time, the first was 15 years back. The idea, this time, was to take things as they come and not plan to the last detail for every single aspect of the tour and to stay relaxed. Visa, foreign exchange, booking flight tickets and accommodation had to be prearranged, though. The icing on the cake was the company of another close couple. It was the month of October in 2013 and the flight took off to Newark via Frankfurt. The stop-over at Frankfurt was for around 4 hours. Any trip to the USA, especially a foreign trip, couldn't be without observing places, food, and people, and one of the things that an eager-eyed, first-time Indian visitor to Europe noticed at Frankfurt airport was the cold processed non-vegetarian food at the restaurants and the stern mannerisms of the German airport staff. The latter, many opines was just their style of speaking. The airport looked small at first glance but that was a fallacy, it was actually huge. As the flight readied for landing at Newark at the suburbs of New York, the sun shone brightly on New Jersey, the neighbouring city and passengers revelled in the welcoming view- signs of a habitation with houses, trees, and vehicles moving. Finally, the destination was in sight, albeit thousands of feet down after a long nine hours flight. At New York, staying at Times square, the major commercial area in Midtown Manhattan, amounted to almost half of the cost of the trip, yet the priority was to cut down on travel time within the city. A travel idea USA is travelling by cabs in the United States was expensive. One constant in the trip was factoring in the lack of time for every outing and prioritising what mattered more. Most of the landmarks could be accessed easily from Times Square, and therefore staying at hotel Holiday Inn Express, fairly modest given its location in a prime area, made sense. Statue of Liberty was the first spot to be visited. The hour-long cruise on a boat in Long Island was breezy and fun as it suddenly started drizzling along with heavy wind even as the tour guide continued to explain the history of the iconic statue. The cruise was a boon for people who were short of time to go inside the Statue of Liberty and yet wanted to visit the iconic spot and learn about its history. The next stop was the financial district at Wall Street. At this spot, tourists clamour to click pictures with the famous bull statue. The 9/11 memorial site brought back memories of the carnage. Visiting Grand central station, shopping at Apple and Toys "R"Us stores, visiting Sommers, a suburb, at night through New York subway, watching street shows, enjoying the site of Brooklyn Bridge, sighting Paul McCartney singing at Times square were the other memorable experiences in the 2 nights 3 days in New York. New York was a vibrant city bustling with energy unmatched by any other city in the United States that we later visited during the tour. It was as if no one could stand still even for a minute on the pavements, everyone was just on the move. The best way to soak in the place was to walk from avenue to avenue. It was also a comparatively safer city than other cities in the United States and is reminiscent of our own Amchi Mumbai a term coined by the local people meaning 'Our Mumbai' in terms of the energy, cosmopolitan outlook, mixed crowd and varied job opportunities for people. Even seemingly 'homeless' people were busy on their laptops sitting on the pavement, without a bother in the world! Leaving jet leg aside, we were on our toes the entire time. The temperature was not low, but the breezy wind gave cold chills and there we were layered in winter wear! 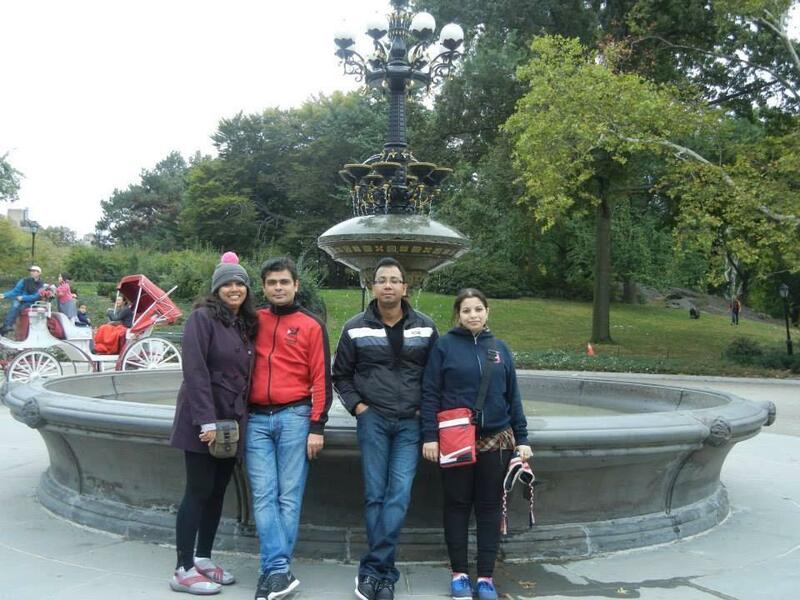 The central park tour ignited the romantic side and rounded off with clicking pictures that made for fun and memorable moments for posterity. Adding to its charm was that the large, beautiful park with lush trees in green and yellow had often been mentioned in movies and international TV series, like the immensely successful Hollywood movie 'When Harry Met Sally'. While clicking pictures, there were momentary feelings of being the characters from 'Friends'! Holidays are indeed intoxicating and imagination allowed to run wild, isn't it? The tour guides at Central Park in New York pointed us to buildings around the area, which apparently belongs to famous personalities like Tom Cruise and Angelina Jolie; though we don't know how authentic these claims are, it added to the glamour of the place. The pedicab ride similar to our 'pedal rickshaws' back home at the central park was a revelation and very convenient to tour the huge area of the park albeit expensive at 100 dollars for an hour. The African American rickshaw driver who doubled up as the tour guide was fond of Bollywood( a name for the popular Indian film industry) hero Mithun Chakravarthy and happily rendered a song from the movie' Disco dancer ', proof of the far and wide reach of Indian movies. Next, it was time to board a flight to San Francisco. My, really the United States is so huge that took a 6-hour flight to reach San Francisco. There was a difference in time zone causing jet lag even within the country; this was different from India where it does not take longer than 3 to 4 hours by flight to cover the breadth of the country. West coast had a very different feel to it than East Coast. For one the cities were more like sophisticated towns and the California sun was blazing hot in the month of October. The first stop, Santa Clara was in the heart of Silicon Valley, the largest technology hub in the world. My sister resides with her family in Santa Clara, so it was a bonding time with near and dear ones. The drive through the headquarters of Google, Apple, LinkedIn, MacAfee and India's biggest software giant Tata Consultancy Services, felt surreal, even as we battled with some jet leg once again. These technology giants have made our lives so much easier in every aspect of the best brains and technological innovations emerging out of this place. The place had grown from what it was in 1998 when I had first visited California, where there were fewer companies in Silicon Valley, the Oracle building those days towered over the rest. A large population of Indians and Chinese were seen in Santa Clara. At the shopping malls, it felt like this was not a trip to USA from India as it felt like India with so many Indians around. California has a large population of Hispanic too so much so that Spanish is one of the local languages of California. Mystery Spot and Santa Cruz Wharf were popular and quick tourist destinations an hour's drive from Santa Clara. Mystery Spot is visited by tourists intrigued by the fact that things appear tilted in this area. Those having a scientific bent of mind, however, often pass it off to a gravitational anomaly giving rise to certain visionary illusions. The mystery on why even aeroplanes flying thousands of feet up also supposedly get tilted, is however yet to be explained. Santa Cruz Wharf was perfect to indulge in sea fish delicacies at the eateries, watch sea lions, and boat rides while wondering how a far-flung country like Japan lay just on the other side because Santa Cruz Wharf is on the Pacific Ocean. The drive through the posh Stanford university campus and seeing the plush residences of Nobel Laureates gave some 'wow' moments. It made my hubby wistful that someday in some other life maybe it could be our alma mater! 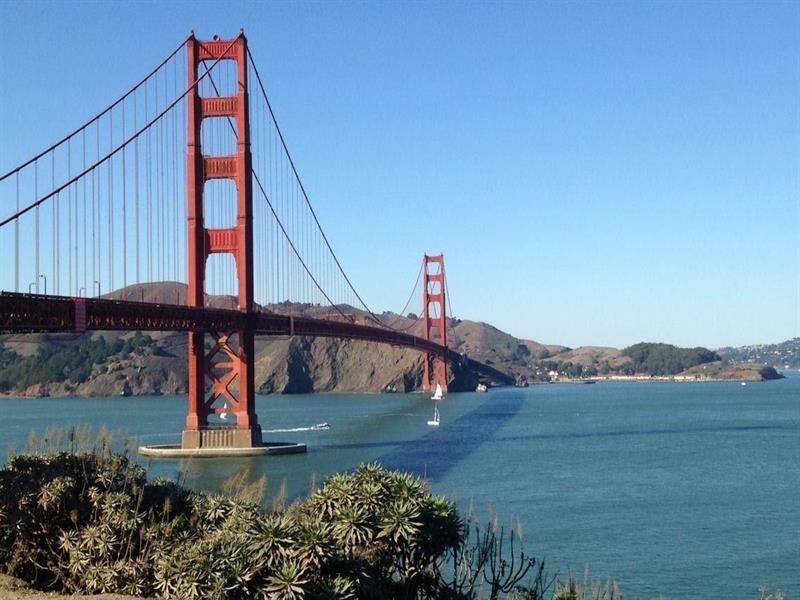 The next destination- San Francisco city was an hour's drive from Santa Clara. The hilly and zigzag roads of Lombard Street, the shaky walk on the towering Golden Gate what with the bridge reverberating with sounds of vehicles moving underneath, the beautiful homes on the roadside, the green parks, the tram rides make up some memories of the city. Like New York on the East Coast, San Francisco is a major city on the West Coast. However, the city was in stark contrast to the lively and happening New York. It won't be improper to call San Francisco staid and at times it was little awkward if not scary with homeless people found in abundance on the streets. At times, they try to pull tricks with the public walking on the street. No wonder the hotel staff at Chancellor, which is located in Union Square, a central theatre, shopping, and hotel district warned tourists not to venture out in certain areas after 8 PM because of these vagrants who apparently migrate from all over the United States to this city. In fact, legend has it that San Francisco housed 'mad men' since long. In the 60's it was popular as the go-to town for drop-outs and those pursuing an 'alternative' lifestyle. The city is also home to the largest communities of lesbians, gays, bisexuals and transgender in the world. After two nights at San Francisco, we took a flight to the most exciting part of the trip- 'Sin city' Las Vegas, in the state of Nevada. The view of Las Vegas from the aircraft was captivating. Vast empty land that was previously desert area, and then the sudden onset of habitation which was carved from the desert to create this world-famous tourist destination. 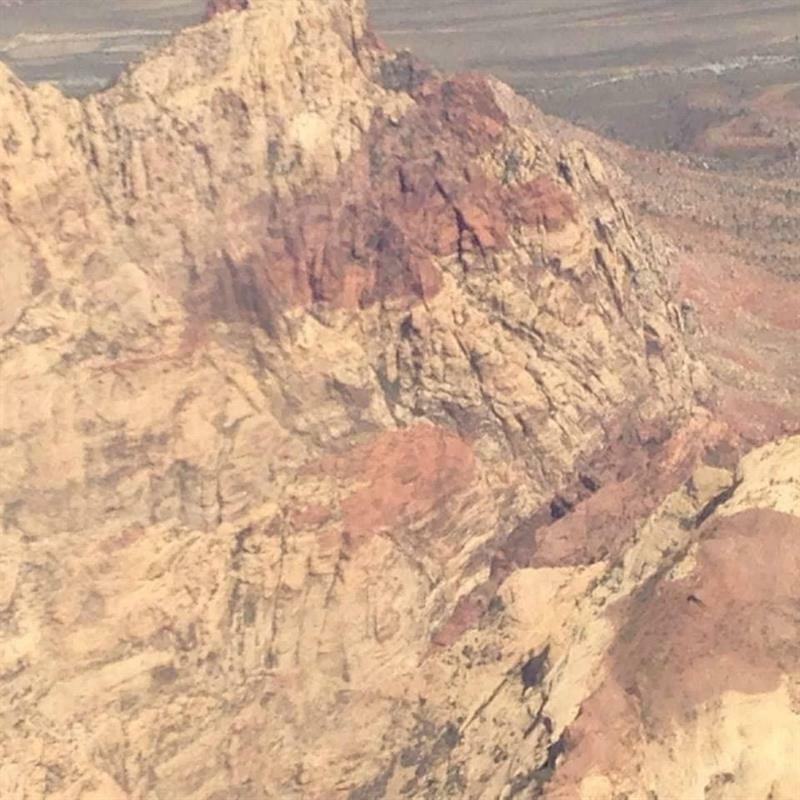 The aircraft passed by red mountainous regions parts of which were Grand Canyon. Grand Canyon is a remarkable natural wonder of the world, accessible through three states in the United States- Utah, Nevada and Arizona, and rightly counted among the seven wonders of the world due to its beauty, size and overall scale. Another travel ideas USA is if you can't afford the helicopter rides to Grand Canyon, perhaps enjoying the miniature view from the flight is a small consolation. Accommodation in Las Vegas was very affordable as the State of Nevada lives on tourism and oil for its sustenance, and hence tourists were most welcome. Egyptian themed Hotel Luxor was built in the shape of a pyramid, with very large rooms and yet priced very cheap and like the other hotels on the strip had a casino. It was interesting to see that casinos within hotels were interconnected through monorails. The casinos in the strip were built around themes like Italy, New York, and Paris etc. While posing for a picture against the backdrop of New York, it felt like being in the Big Apple, yet again. Gambling in Las Vegas was fun and is also serious business for many tourists who visit from around the world. Fireworks show, shopping at the mall, Michael Jackson musicals shows in memory of the legend were some of the highlights of the city. The limousine ride made a dent in our pockets but was too exciting to be missed. A fond memory was gambling in the almost empty casino throughout the night; the beauty of the trip was to do as the heart dictated and make no rush to touch every spot mentioned in the tourist guides in the 3 nights we spent there. However, a quick visit to Downtown Las Vegas, the oldest part of Las Vegas city was on the to-visit list. Nightlife in Las Vegas was till 11-11:30 PM even on the strip. Post this; it wore a deserted look which caught us by surprise since in Mumbai night life goes on till wee hours of the morning. The last leg of the holiday was Los Angeles. The bus ride through Las Vegas through California was breath-taking with mountains and a vast expanse of a land visible from the bus. Despite a hectic time in Las Vegas, peering through the window to enjoy the scenery took priority over some beauty sleep. Los Angeles spelt Hollywood and glamour. Staying in Days Inn in Hollywood was convenient for accessibility reason. Attempting all the dare-devil rides at Universal Studios was a once-in-a-lifetime experience. Rides like 'Transformers', 'Revenge of the Mummy-The Ride', and the jump from 84-foot plunge in 'Jurassic Park'-the ride was certainly not for the faint-hearted. The studio tour in none other than The Hollywood, the biggest movie industry gave us a fine idea of the actual world of movie-making, the technicalities and the make-believe part of it. The studio tour and drive through Hollywood star homes at Beverly Hills gave an opportunity to be up close with entities normally one feels awestruck about. Look-alikes of famous Hollywood stars and famous personalities dressed in get-ups roam the streets of Hollywood, and it's common to bump into a Marilyn Monroe look-alike or Elvis Presley look-alike. California is famous for Disney land. This world famous amusement park situated in Anaheim takes about two hours from Los Angeles and is a paradise for children and adults alike. An entire day was reserved for a trip to Disneyland which proved to be less given the size of the park and we had to miss visiting the relatively newer Disney California Adventure adjacent to Disneyland. Yet, it gave us adults an idea of how wealthy and resourceful the country is to build an amusement park of this scale for the first time in the world. Now, of course, there are Disneyland parks in Paris, Hongkong, and Tokyo and even the US has Disney World with a similar theme. In Disneyland, separate townships were built for various cartoon characters like Micky Mouse, Chip N Dale, Donald Duck etc. and tourists had a special attraction for the parade in the evening where all the characters could be seen together. The parade is recommended if one wants to view all the characters together at one place and cut short meeting each character individually. Apart from the various cities and tourist spots, one impression that the country made on us was its consumerist behaviour. The 'tipping' culture after a service supports my view on it. Most of the time, one didn't mind paying a token because of the warmth extended. However, at times, one was compelled to 'tip' because it was a prevalent practice. The variety in food is convenient for all travellers. We tried all types of eateries from fine dining to fast food, to healthier food options at reasonably priced restaurants. Mexican food in Chipotle, the rich, creamy, unbeatable pancakes in Shops, the yummy cheesecakes and desserts at Cheesecake factory gave us a gastronomical delight. We had to skip visiting sea world in San Diego, and nature parks like Napa Valley and Yosemite. We missed seeing natural beauty and countryside in the USA which the nature parks offer. The various road journeys we made perhaps gave a glimpse of nature rich country. Our last stop was, therefore, Santa Monica, the beach town, where we bought some last minute memoirs and enjoyed photo-ops in the famous Santa Monica pier. All in all, the 12 days gave us a flavour of what this wealthy, resourceful country deemed as 'Super Power' had to offer. India- the USA has strong business relations and we are daily in touch with US clients as employees in the software industry. That's why it was even more exciting to visit the country and experience it first-hand. We realise that from the old world charm of East coast to multi-cultured and high-tech Silicon Valley, to adventurous Las Vegas this was a tip of the iceberg of what the country is made of. Surely, more trips to this country will be awaited. Amen. Great travelogue. Looks like you had a wonderful trip to USA. I thoroughly enjoyed reading your travel experience. Thanks, glad to know that you enjoyed reading my write-up. It was a great trip for sure, more so because we touched many parts of the United States, and experienced the diversity first hand. I am not author. I am a reader. Please correct it. Reading this post felt like déjà vu because there are many of us who would have or who have already felt the same. Imagine how the people of USA would feel when they plan on coming to India. Well Indian Eagle is here to help you with cheap flights from USA to India and the vice versa. So grab the opportunity to travel with low airfares. Visit us at IndianEagle.com. Super liked the way of expressing your thoughts, the post is one of the best-articulated articles I have read in the last couple of months. Keep up the good work, I am adding your website as one of the favourite sites.